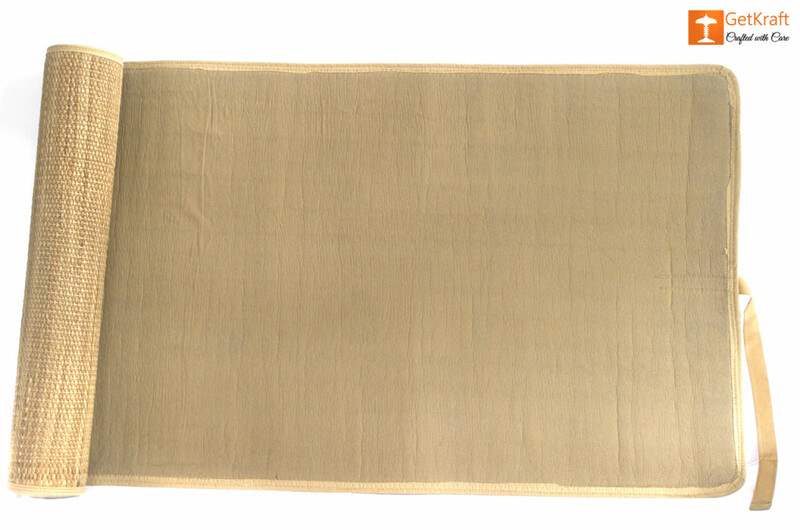 A Lounging Mat made entirely of Kauna grass from North-East India. 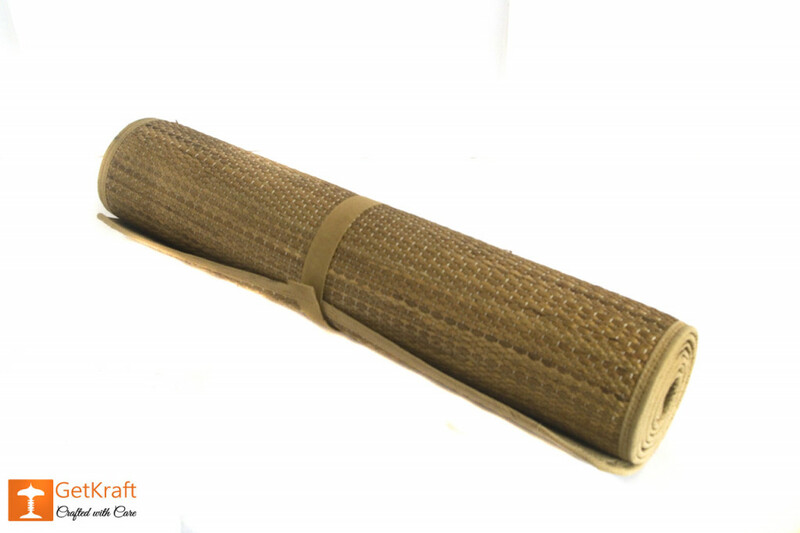 This mat is handcrafted, lightweight and easy to take to the studio or while travelling to beach picnics or for indoor lounging/meditation, yoga, etc. 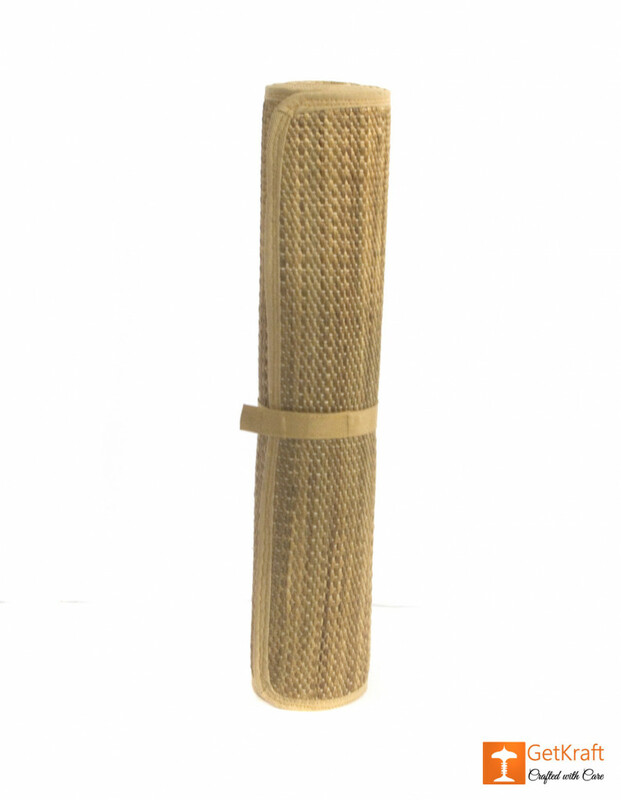 It has a strap with a velcro closure which helps you to easily roll and tie the mat after use. As this is a Natural and Handmade product the one you receive may differ slightly from that in the photo. 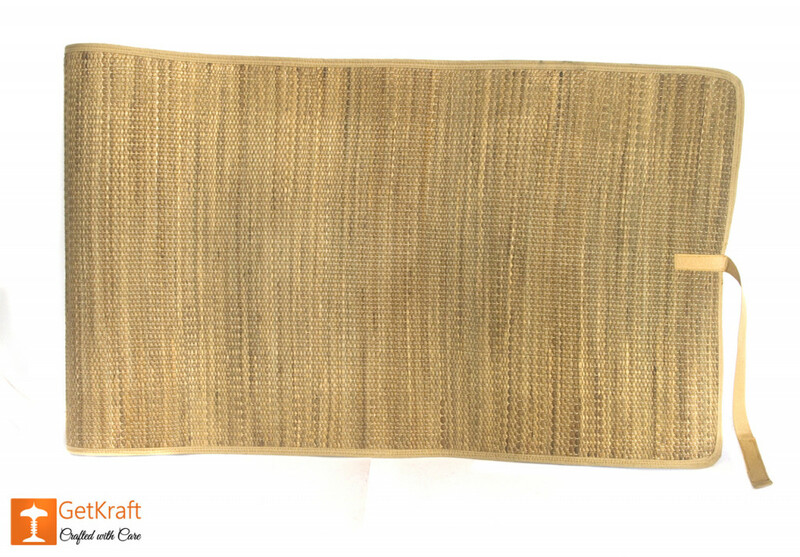 The mat can hold natural moisture and so it can get wet. However we would recommend you to not leave it out in the rain or wallow in excessive water for extended periods. If it does get wet just hang it upright in a warm dry area and let it dry naturally.